You may feel like hiring professional carpet cleaners is a luxury you cannot afford. However, a quality steam cleaning is surprisingly affordable, and you can often find carpet cleaning offers in Middlesex. You don’t have to live with dingy carpets that are stained. You can afford to have your carpets professionally cleaned to make them more attractive and to prolong their life. If you are considering having your carpets cleaned, start by looking online for special deals. Cleaning companies like High Quality Carpet often have special deals available to help you save money on the services. It might be a free room cleaning when you have other areas treated, or it might be a percentage off. Either way, the special deals will help the service fit nicely into your budget. Before deciding that you cannot afford to have your carpets cleaned, consider the fact that regular steam cleaning will prolong the life of your carpets. The powerful machines can work dirt loose, and impressive suction will remove most of the water and the remaining dirt and dust. With professional services, your carpet will look cleaner and smell fresher. You will save thousands of dollars over the expense of new carpet, but only if you invest in regular cleanings. If you have suffered a broken pipe in the home, then you might believe that your only option is to remove the carpet and have it replaced. However, this may not be the case. When water sits on the rug, it can be saved with prompt treatment. With professional help, the water can be extracted through the use of steam cleaners and dehumidifiers. Rather than buying new carpet, you can invest in affordable carpet cleaning to save your carpet and save a great deal of money. 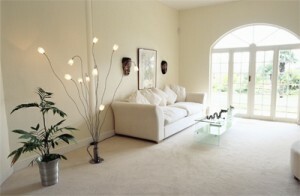 Special deals for carpet are attractive, but you can also find great deals to have your upholstery in Middlesex cleaned. Your furniture picks up an incredible amount of dirt from the air and your clothing. Colors become muted, and stains on armrests can detract from the overall appeal of the furnishings. However, you can take advantage of special deals to clean the upholstery. When the fabric is clean and attractive, you won’t have to spend money on new furniture. If you are fortunate enough to have a beautiful oriental rug, then you probably want to keep it in top condition. Properly cared for and cleaned, these rugs can be passed down through the generations to become treasured heirlooms. They require special skills to safely clean them, and you can rely on the professionals to have the right tools and equipment. Before you roll the rug up to protect it, talk to the professionals to see what they can do to clean and preserve your gorgeous rugs. Carpet cleaning is a very affordable service, and special deals make it even more appealing. Whether you have an emergency and need fast service or just want the rugs cleaned as part of general maintenance, there are carpet cleaning deals available to help you save money. Visit http://www.highqualitycarpet.com/ to learn about their special deals and see what they can do for the carpet and upholstery in your home.